We all know THE golden state is California …but it’s fun to give every other state (or country) a try at being golden every once in awhile. Well, any chance to make anything golden is a great idea in my book. 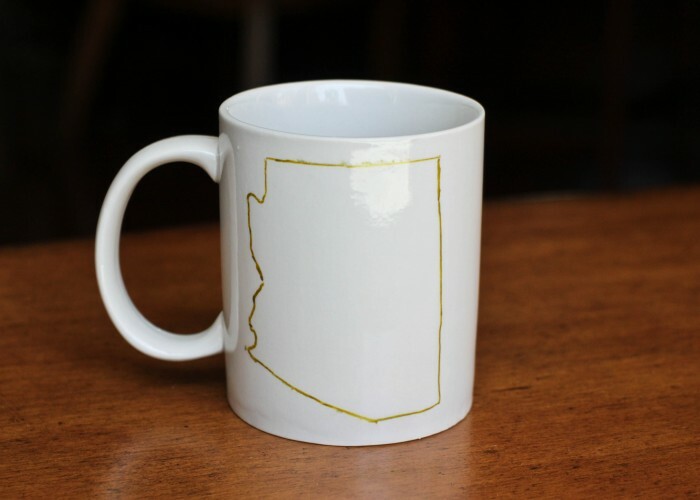 Here’s a really easy way to create a mug that is perfect to proudly display your state or give as a gift. 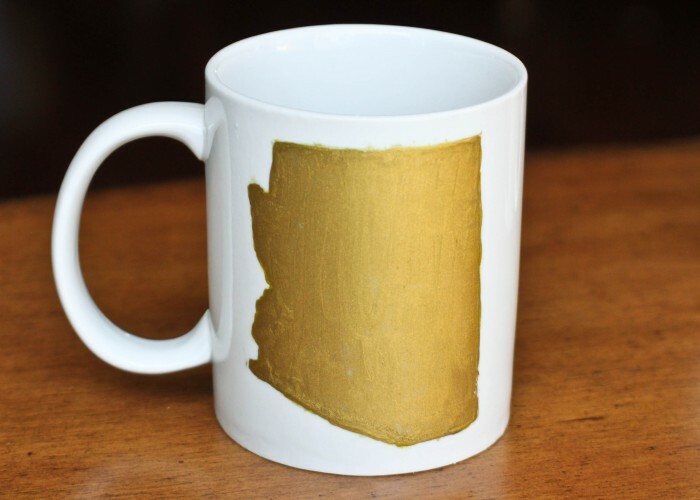 Here’s what I used to make this: a blank mug, metallic paint pen, and metallic gold paint. You can purchase a blank mug for pretty cheap at a 99c/dollar store. 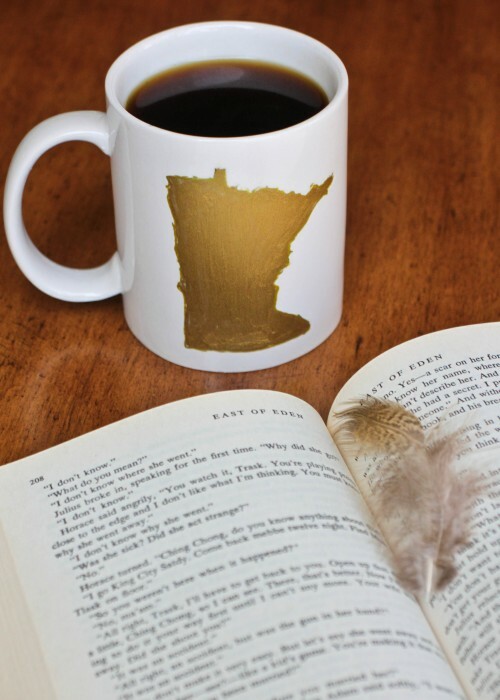 First, make a paper stencil of the state you wish to have on your mug. 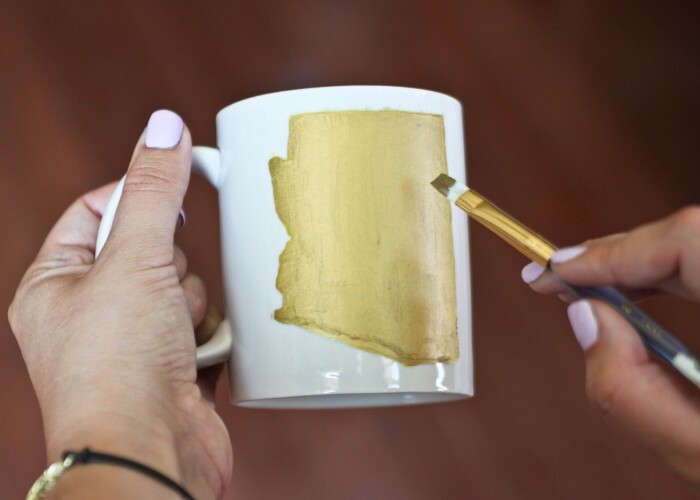 Then tape the stencil onto the mug. With your metallic paint pen, follow the outline of the state stencil. With metallic gold paint, paint in the state. This may require a few paint coats. We prefer using the paint because we wasn’t a fan of seeing all the pen lines. When the paint is dry to the touch, put the mug in the oven (NOT microwave oven) for 30 minutes at 300 degrees (Place the mug into the oven while it is preheating) . Let it stay in there for 30 minutes. After 30 minutes, turn off the oven, leave the mug inside, and let them cool down together. Once the mug and oven are cool, cautiously take the mug out of the oven. Also, make sure to only hand wash these. 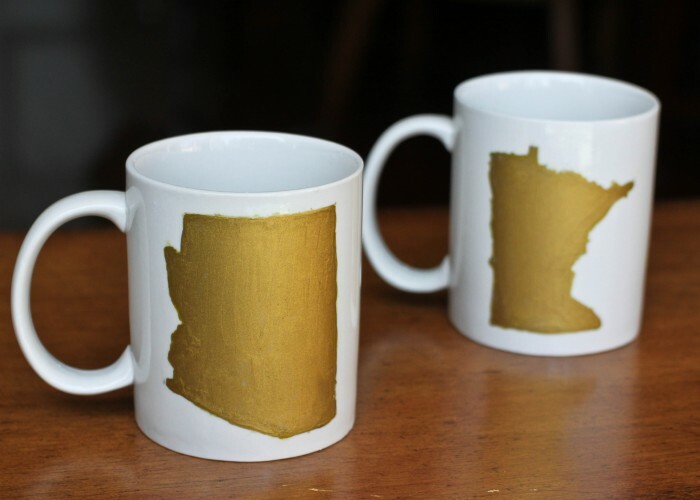 We may like my coffee black, but our states as golden as they can get. Enjoy!